NHL.com's Q&A feature called "Five Questions With …" runs every Tuesday. We talk to key figures in the game and ask them questions to gain insight into their lives, careers and the latest news. What a difference an offseason makes. The Vancouver Canucks changed almost everything around Daniel and Henrik Sedin this past summer, bringing in a new president (Trevor Linden), a new general manager (Jim Benning), a new coach (Willie Desjardins), a new system, and a new linemate for the twins (Radim Vrbata). The difference has been noticeable on the ice as the early returns in Vancouver, particularly for the twins, have been favorable. Daniel Sedin leads the Canucks with 11 points on two goals and nine assists. Henrik Sedin and Vrbata each have 10 points as the line has combined for 11 goals and 31 points. Vancouver's second line of Nick Bonino, acquired from the Anaheim Ducks in the trade that sent Ryan Kesler to Southern California, Chris Higgins and former Sedin linemate Alexandre Burrows has combined for seven goals and 18 points. The Canucks have 10 points (5-3-0). They won their first three games and have won two of their past three after consecutive defeats. They're coming off a 4-2 win against the Washington Capitals in which they scored three goals in a span of 1:47 in the second period. Perhaps most importantly, Daniel Sedin said the Canucks feel they're only scratching the surface of their potential, and the vibes around the team have been fantastic. "First of all, we have a great group of guys here. 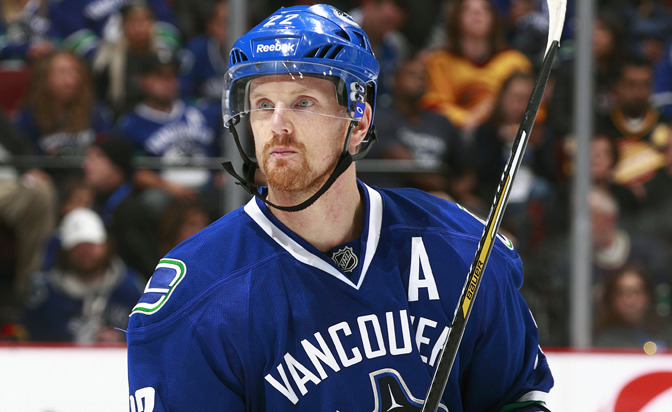 We work for each other and that goes a long way in having team success," Sedin said. "The coaches have come in and put in a little bit of a new system, but we're getting better and we're close to where we want to be in that department. We're going the right way and we have a group of guys who really want to win together." Do you feel the system Desjardins has brought plays to your strengths similar to the way the team played when Alain Vigneault was the coach? "I would say so. Willie wants us to hold on to pucks. If you have a chance to carry it over the blue line he wants us to carry it instead of dumping it in. He's very big on puck possession and that plays to our team's advantage for sure. "[Last season] we got away from the way we need to play as a team. I don't think Torts [John Tortorella] was against skating the puck over the blue line, but as the season went along, we had some injuries, and we started to get away from the way we need to play to be successful. If you look, last year before Christmas we were a really good team, winning a lot of games, but after the new year we got away from the way we need to play." Personally, last season you went through a tough stretch with no goals in 23 games, only three in your last 32. Do you feel your game is back to where it used to be and needs to be? "We talked right after the season, myself and Henrik, about getting back to playing the way we need to to be successful. Last year we got away from that for sure. I've told the media here this too, that was up to us. Torts didn't put any pressure on us to change our game; we did that to ourselves. Probably the biggest disappointment for us is that we allowed ourselves to get away from our game. Like I said, Torts had nothing to do with that, it was on us. That was disappointing. So we talked this summer and said, 'Let's get back to playing the way we need to play to be successful.' That's holding onto pucks, having a lot of offensive zone time, and being strong around their net. So far it's been successful." Hindsight being what it is, do you now know why you guys got away from your game last season? "I think with a new coach coming in you want to buy into the system and all that. Torts never told us to change our game. I think a lot of people think he was the reason we got away from our game, but that wasn't the reason. That was all myself and Henrik. It was our mindset. That was the No. 1 thing. It was more our mindset. The only way for us to be successful is to play the way we always play. It might not always work out, but it's our only way of being successful." Does the pressure feel like it's been lightened because the second line with Bonino, Higgins and Burrows has produced as well? "Yes, it's huge. Not only their line, and they've been good all year, but we can roll four lines. We've had games this year already where we're playing 14 minutes or 17 minutes, and that was rarely the case last year. We were always pushing over 20 minutes. We still can play those minutes this year, but we do feel we can roll four lines and that's huge. 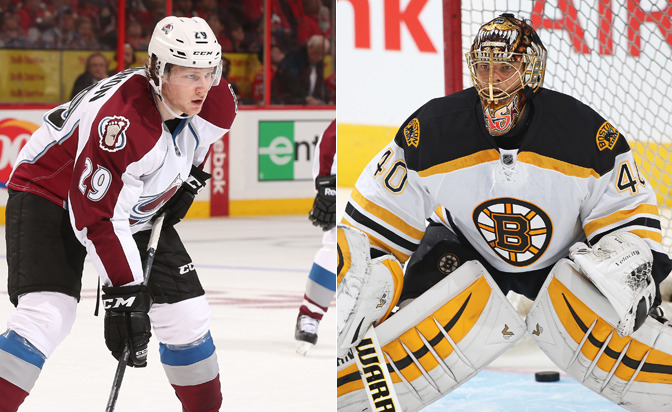 We have a deeper lineup, no question about that." Why has it worked so well so quickly with yourself, Henrik and Radim Vrbata? What is clicking with Vrbata? "Every time you get a new linemate, who knows what could happen. It could be a world-class player and it might not work out. You could put a grinder there and it might work out. It all depends on how you fit in, and watching him from afar when he was in Phoenix we always liked his game, and when we signed him this summer we were really excited because we thought he would fit in well on our team and on our line. From day one of training camp it's been a really good fit. He's a smart player and he does everything really well. He has a great shot. That's the No. 1 thing, I think. He's the main shooter on our line. Both me and Henrik like to pass the puck, so it's working well. He understands the game so well, so he knows when to get involved and when to stay away. Me and Henrik are at our best when we use our linemate and have him involved in the cycle. It's worked out really well."